What is a Scalp Scrub? A Scalp Scrub is a hair product that exfoliates your scalp, getting rid of built up dirt, product residue and dead skin. Our scalps are often both neglected and abused, with scalp dryness and clogged pores being a common problem. Your scalp would greatly benefit from the exfoliating action and deep moisturizing a good scrub can provide. 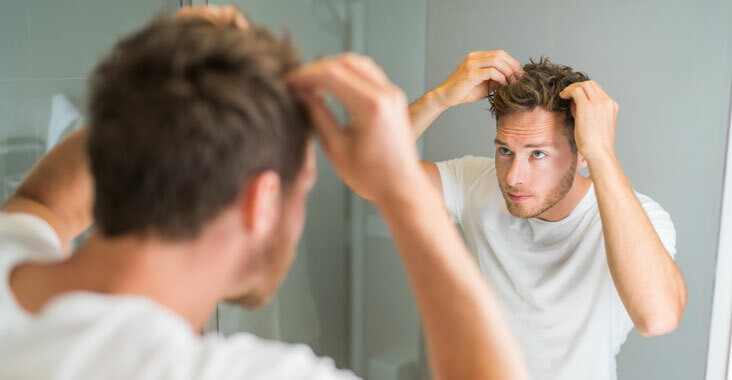 There can be dozens of great variations out there for you to try, below are some tips about the most common components of a good Scalp Scrub. Essentials by Catalina has a complete line of Body Scrubs for you to customize, including Sugars, Salts, Oils, and more! The Scalp Scrub recipe I list below can be altered and made to your liking. However this recipe is for oily yet flaky scalps. It is a gentle scrub with peppermint essential oil. Peppermint oil is widely known for benefiting scalps and hair. But remember that Peppermint Essential Oil is very strong, and putting too much can burn your scalp. Exfoliants: Many of the Scalp Scrubs I see have either Walnut Shell Powder, Sea Salt, or Sugar as their primary exfoliating agent. I found that Sugars work best because it is not too abrasive and washes out easily. Our Organic Turbinado Sugar worked best in the recipe I used. It gives a nice, gentle massage as it works to loosen the grimy buildup on your scalp and it didn’t leave my scalp sore. Salt could also work, however, keep in mind it may be too drying on sensitive or dry scalps. Walnut Shell Powder was more abrasive than either Sugar or Salt and was much more difficult to wash out as it does not dissolve away. Sodium Bicarbonate: An effective, gentle cleanser also known as Baking Soda, Sodium Bicarbonate has many benefits in a Scalp Scrub, including that it is a deodorizer. This makes it perfect for those who skip washing their hair every now and then. There is a bit of controversy whether or not Baking Soda is good for hair or not, but. However this recipe only contains 2% of Sodium Bicarb. And keep in mind that this scalp scrub is only meant for a now and then use product, as with all scrubs. Additives: Target hair types with certain additives. Add Extracts, Oils, Clay, or Botanical Powders for desired scalp types. Oatmeal Extract, Whole Oats, or Colloidal Oatmeal are recommended for dry scalps. While for a deep clean Lemon Peel Extract can be added. The possibilities and combinations are endless. I find it works best when used before you shampoo your hair. This Scalp Scrub is not intended for daily use! Just like any scrub you should only use it once every week or so.